Enrique Granados y Campiña (1867-1916) lived most of his early life in Barcelona. He was trained primarily as a pianist but also studied, probably informally, with the great Spanish musicologist Felipe Pedrell (1841-1922). 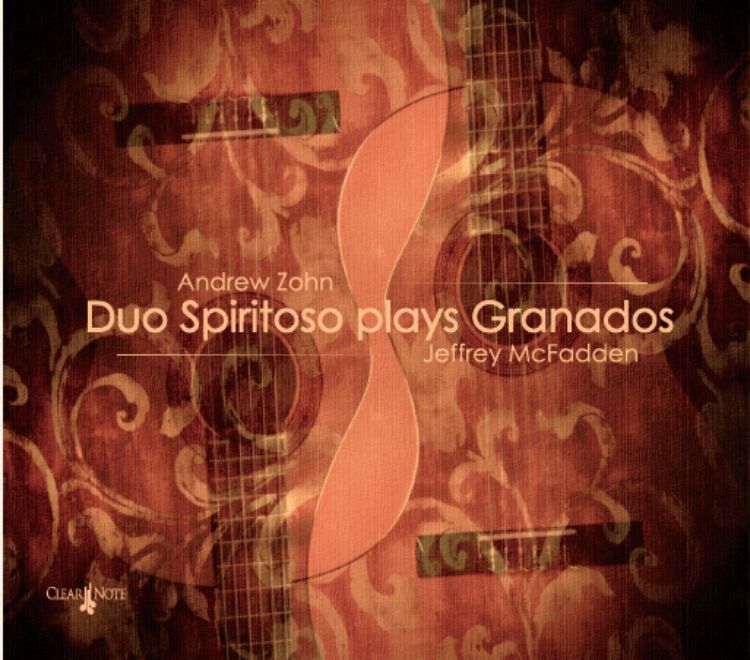 It is reasonable to assume that the clear nationalist-folk element in Granados' music came to be, at least partially, as a result of Pedrell's strong influence. Like so many of his compatriots, Granados also spent time in Paris as a young man attending classes at the conservatoire and basking in Parisian intellectual society. He enjoyed modest success in his career, particularly in his native Barcelona, but also more widely in Spain and abroad. He was invited to the Metropolitan Opera in New York in 1916 to attend the premier of his recently completed operatic work, Goyescas, which was based in turn on his famous piano piece of the same name. His music, like the music of the many composers of similar experience, is in many aspects the natural synthesis of dual influences, local and cosmopolitan. 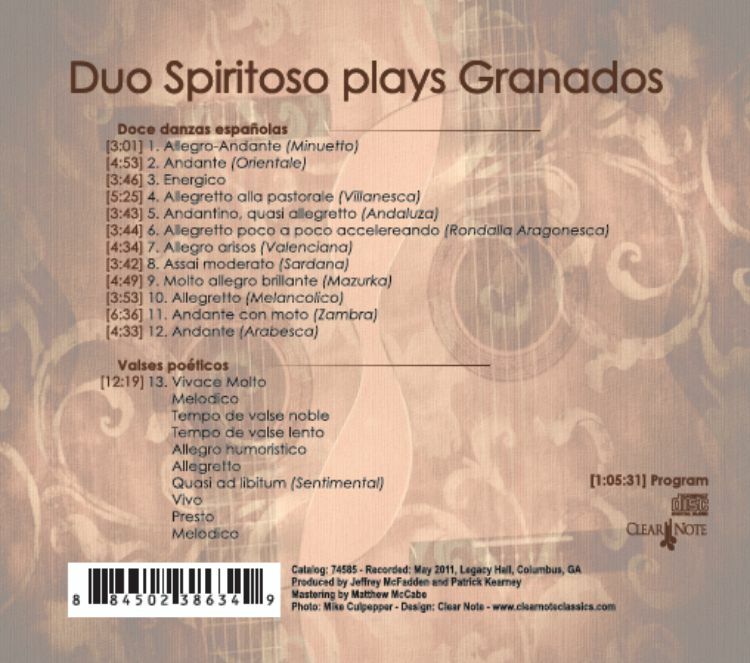 But in the specific case of Granados, the rugged core of Spanish folk idiom at the nucleus of his music is polished to a gleam, kept in place and at bay and couched in an unfailing elegance of gesture and aristocratic reserve.